Each year the International Day of Peace is observed around the world on 21 September. The General Assembly of the United Nations has declared this as a day devoted to commemorating and strengthening the ideals of peace, both within and among all nations and peoples. Once again yesterday, the European Court of Human Rights ruled that Turkey violates the human rights of conscientious objectors. In today’s Chamber II judgment in the case Tarhan v. Turkey (application no. 9078/06), the European Court of Human Rights held, unanimously, that there had been a violation of Article 3 (prohibition of inhuman or degrading treatment) and a violation of Article 9 (freedom of thought, conscience and religion) of the European Convention on Human Rights. In today’s Chamber II judgment in the case Savda v. Turkey (application no. 42730/05), the European Court of Human Rights held, unanimously, that there had been violations of Article 3 (degrading treatment), 6 (fair trial) and 9 (freedom of thought, conscience and religion) of the European Convention on Human Rights. 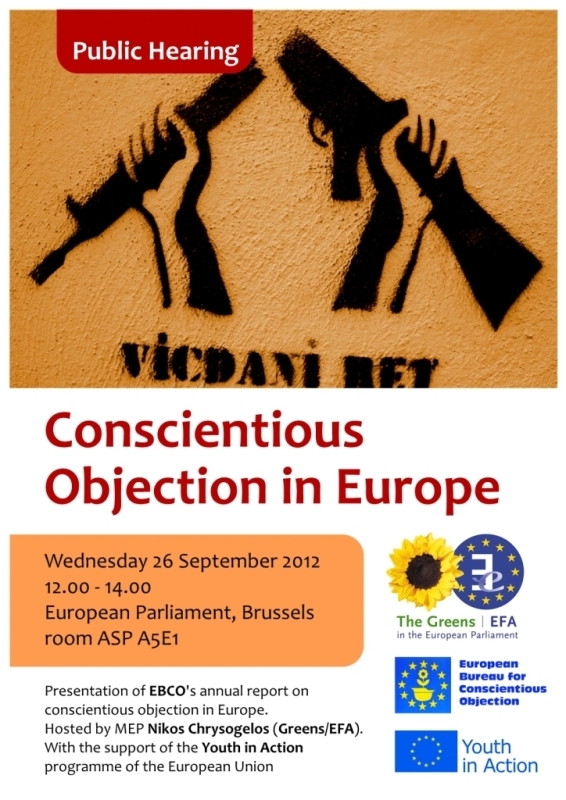 In view of the new trial of Greek conscientious objector Nikolaos Xiarhos tomorrow, EBCO calls on the Greek authorities to stop the continuous persecution of Nikolaos Xiarhos and all other Greek conscientious objectors and fulfil the international obligations of Greece by fully respecting their human rights, both in law and in practice. On the occasion of the International Day on Conscientious Objection on May 15th, the European Bureau for Conscientious Objection (EBCO) expresses its deep concern over the criminal prosecution of Nikita Konev, a Russian pacifist charged with draft dodging. The European Bureau for Conscientious Objection (EBCO) participated today in the second Global Day of Action on Military Spending (GDAMS) to protest against military spending with two joint actions, in Brussels, Belgium and in Athens, Greece. EBCO condemns the excessive level of military spending and calls for a reallocation of resources to fulfil basic human needs. 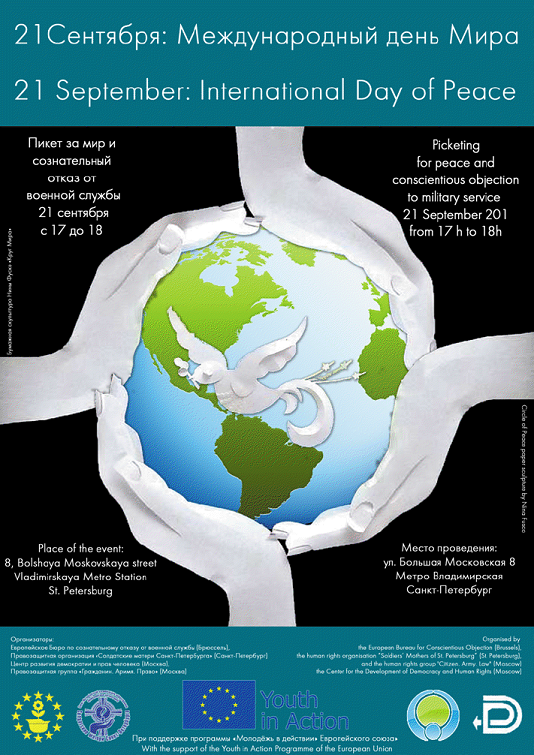 The European Bureau for Conscientious Objection (EBCO) expresses its deep concern over forced labour in the Russian army and urges the Russian authorities to take immediate action to stop this inhuman practice and bring those responsible to justice, following the independent analytical NGOs report ‘The Redundant Soldier.